Biography: An MC with witty lyrics, a wide range of sonically-astounding rhyme patterns, and a passion for creating music that will be enjoyed by mainstream rap fans, and hip-hop purists alike. JOn Black became versed in music from listening to his mother’s oldies tapes, featuring artists like The Stylistics, The Delphonics and many more. As a child he transferred between Sacramento Ca, and San Diego Ca, which led to his exposure to many different styles of music. As he got older he began to delve into Rap and R&B. While an avid fan of many genres, JOn Black didn’t begin writing or producing any music until the age of 16. At 16 he returned to San Diego, more specifically the gang-infested streets of “Southeast Daygo.” Growing up in “The Southeast” exposed him to a much grittier side of life than he had previously known and the lessons it has taught him can be heard throughout his music. 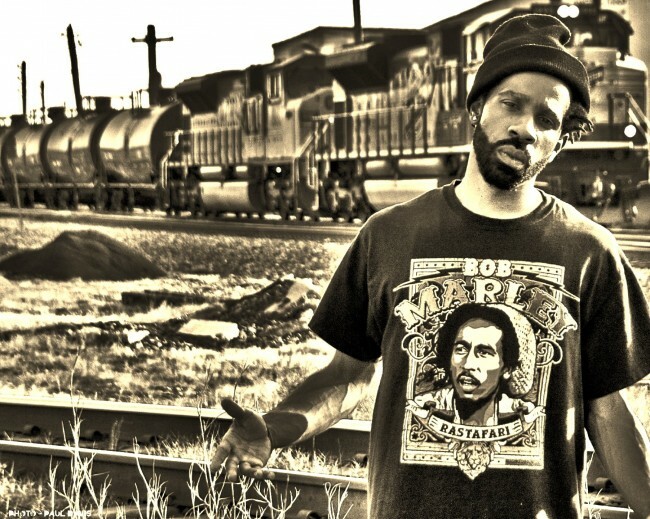 It was during this time JOn Black began to get more deeply involved in MC’ing and production, and crafted his rhymes after what he considers some of the best names in Rap, artists such as Tech N9ne, Dj Quik, Busta Rhymes, Mos Def, Tupac, Biggie, and Mac Dre. In addition to rap, Jon Black, dabbled in Turntablism, spoken word poetry, and instruments such as the guitar and the saxophone. Not allowing himself to be limited, JOn Black sought an understanding of music as a whole and longed to venture into an even more “eclectic” palate of sound. After locking himself in the lab with nothing but sticky green, vinyl records and Red Bull, JOn Black is more focused than ever and ready to take the industry by storm. He also performed at the 2011 SXSW in Austin, Tx. On November 8th 2011, Jon Black signed with Orkestra Entertainment.